990 Archives - Hialeah Accounting Services. Registered Agent Do you need one? A registered agent is required in most states to open your corporation or LLC. They are a third party that represents your Corporation or LLC in your State. This person or company must have an office in the state that you are forming the business. All states have one thing in common when you are starting your business in that state. You have to have a representative of your corporation or LLC. You live in Maine but want to open a Corporation or LLC in Florida. Florida law says that the office and representative must live and work in Florida. When you use a registered agent, they will represent you in Florida. Now you have an office in the state. The mailing address of your company can be in the other countries. They have no legal authority over your company. So a registered agent cannot open a bank account. Have no voting stocks. 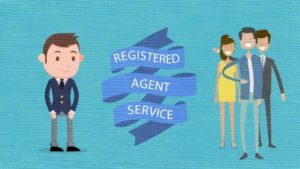 Find out if you need a Registered Agent to start your Business. Receive service of process is its only function. Registered Agents accept the operation of facilities if your company or LLC get sued. Forms from the Secretary of State when the annual renewal of your company. In Florida, the email goes out on February 1. Check your state to see when is your renewal. Accept any forms should the state’s department of revenue has any tax bills. In Florida, there are no state tax bills. When choosing one make sure you select the correct one. Should your business get any letters or lawsuits, they have to contact you. Keep all of the contact information currents, so there are no miscommunications. Mistakes will cost you time and money. In Florida not sending your annual renewal excellent start at $400 just one day late. Florida Department of Corporation will make your corporation or LLC inactive after the due date. Could come back to haunt you by paying late fees and other actions in the future. If you open your Corporation in your home state, then you can be the registered agent? You just cannot have the company mailing address a post office back. State of Florida said its ok to have a residential address is acceptable in most parts of the country. Check your department of corporations for more information. You will not have to worry about missing an important document. Should you get sued, no one will come knocking on the door of your residences. No potentially embarrassing legal and tax documents in front of clients. Could keep company legal and tax issues from staff and clients. The company will always have a permanent address if you move. Now you will not have to go around and change all of the paperwork. Most states will not allow this when you are opening a corporation or LLC. Go to your department of corporations to see if necessary. In Florida, you will not be able to open your business without a registered agent. Should you have any questions please contact our office. Corey & Associates Accounting has been assisting clients since 1985.